Bob Cowsill, of Rhode Island’s legendary band The Cowsills, comes full circle in his 40-year musical career. Now living on the West Coast, the nationally-acclaimed musician and his band member siblings are planning a trip back home. He (along with other Rhode Island musicians) will be honored on Sunday, April 28 at the Hope Artiste Village, to be recognized by the Rhode Island Music Hall of Fame as being the very best the Ocean State has produced. The Cowsills, considered one of the most successful family musical acts in the 1960s, grew up just an hour’s drive from Pawtucket, in Newport. Initially formed in 1965 by four brothers (Bob, Bill, Barry and John), in 1967 the band grew to include two other siblings (Susan and Paul), plus their mother Barbara. The Cowsills later became the creative inspiration for the 1970s television show, The Partridge Family. The group would remain active in the music industry for over 40 years as performers, recording artists, songwriters and producers. 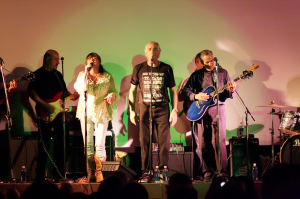 According to Bob, the eldest of the musical clan, The Cowsills were the first of the rock family groups. Others would follow in their footsteps, such as The Partridge Family, Jackson 5 and the Osmond Brothers. “The family angle just evolved,” says Cowsill. When it became difficult to interest musicians on Aquidneck Island to join the fledgling band, it became obvious that the younger siblings were the answer when it came to filling the empty slots. In the mid-1960s, the Cowsills were hired as a regular act on Bannister’s Wharf, playing weekly at Dorrian’s in Newport – a city that was at that time a rough Navy town where underage musicians would sing Beatles songs hour after hour. The self-taught musicians performed throughout New England and New York, releasing a handful of singles on JODA Records and Philips Records during this time. Cowsill recalls how his first single, “All I Really want to Be is Me,” released in 1965 on the JODA label, was pitted against Simon and Garfunkel’s “The Sound of Silence” on a WPRO radio contest. With the votes tabulated, the Newport band “won by a landside.” Cowsill still chuckles when remembering the victory over one of America’s most recognizable musical duos. The growing band was signed to MGM Records in 1967. “Bewilderment,” says Cowsill, of his two performances on The Ed Sullivan Show. The group had contracted to appear 10 times, which would have put them on the show more times than the Beatles! But a fiasco over a microphone that was accidentally turned off would result in the cancellation of the remaining eight shows. In 1969, The Cowsills became the first rock group to record a theme song for a television show of the same name, Love American Style. Their harmonic music can be heard in movies such as The Impossible Years and Dumb and Dumber and in TV shows from The Wonder Years to The Simpsons. Look for a Documentary called Family Band – The Story of the Cowsills, coming to cable television in March. “It will show what really happened in our family band,” adds Cowsill. The Cowsills broke up in the early 1970s but most of them have never really left the music business and various members have regrouped through the years. Cowsill and his three surviving siblings continue to perform across the country at casinos, fairs and music festivals. And for over 27 years, the now 63-year-old musician plays “covers” from The Beatles and The Byrds at Pickwick’s Pub in Woodland Hills, California, every Friday night. George M. Cohan – The pivotal figure in the development of the modern Broadway theater tradition grew up right in Fox Point. Sissieretta Jones – One of the greatest sopranos in the history of modern opera headquartered her career from Pratt Street on the East Side of Providence. Bill Flanagan – A guy from Warwick who became the Vice President of MTV and VH1, continuing to promote and advocate for Rhode Island music all along the way. Jimmie Crane – From the 1950s through the 1970s, he wrote a long string of huge hit songs for such stars as Eddie Fisher, Doris Day and Elvis Presley. Bobby Hacket – Bobby was born on Federal Hill, but spent most of his youth in Olneyville. He became one of the greatest in the history of jazz. Eddie Zack & The Hayloft Jamboree – The Zackarian family virtually introduced country and western music to Rhode Island, recording for Decca and Columbia Records and broadcasting nationwide on the NBC radio network. Paul Geremia – The world-acclaimed acoustic artist has helped keep the folk-blues tradition alive, bringing it into the modern era with his unique guitar style and voice. Steve Smith & The Nakeds – Steve (and the 61 other guys who have passed through the ranks over time) are celebrating 40 years the job and a national record deal. Tickets are $20 in advance or $25 at the door for the evening event and $10 for the afternoon ceremony. The Cowsills will perform along with some other inductees. 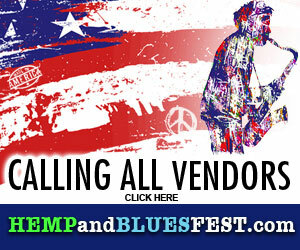 Purchase your ticket now at rhodeislandmusichalloffame.com. Previous post: Got Your Beer Online?